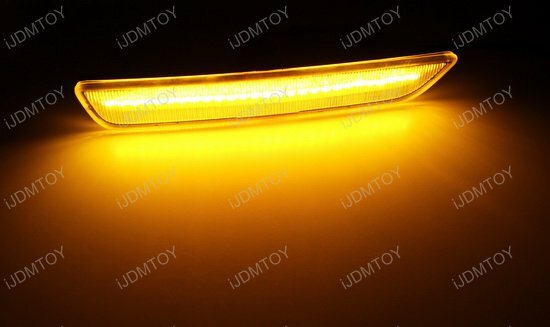 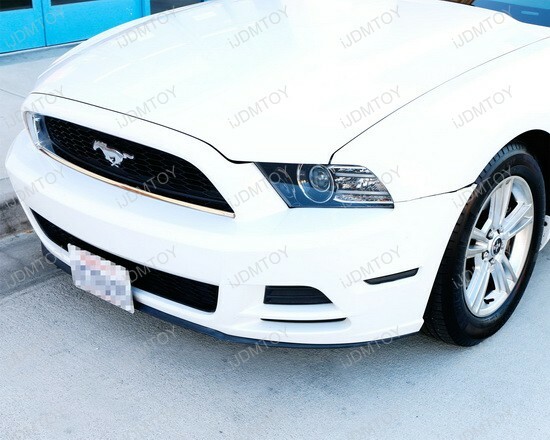 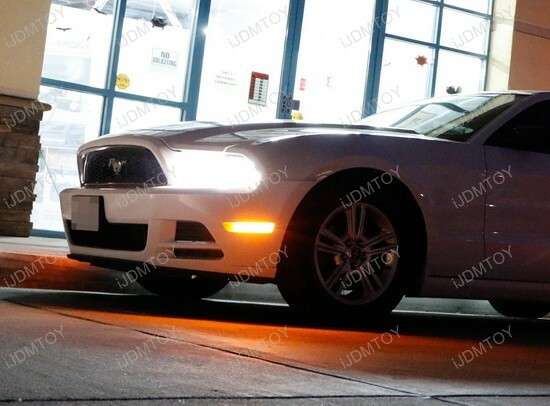 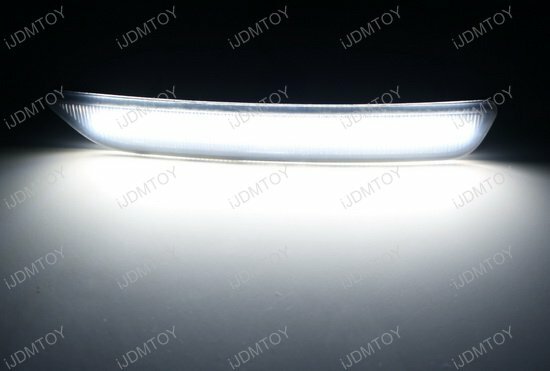 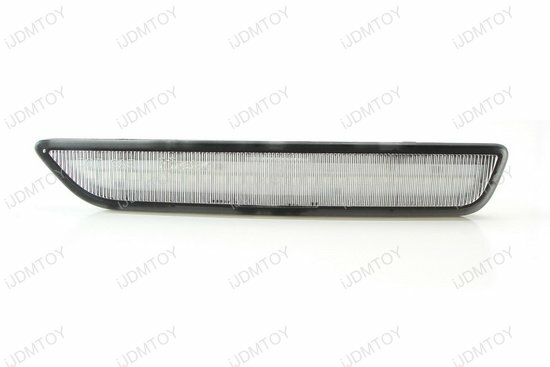 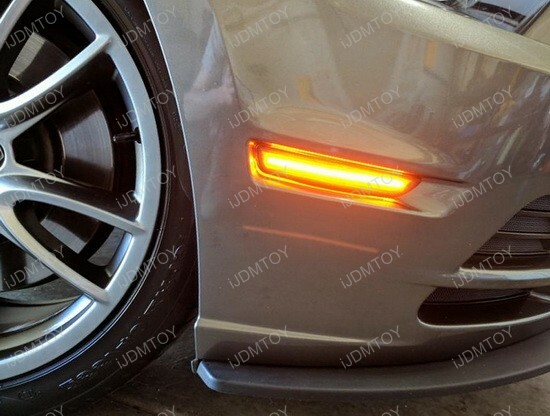 A: The clear/smoked lens front side marker lights with 27-SMD amber or white LED lights are fit for the 2010-2014 Ford Mustang's front bumper. 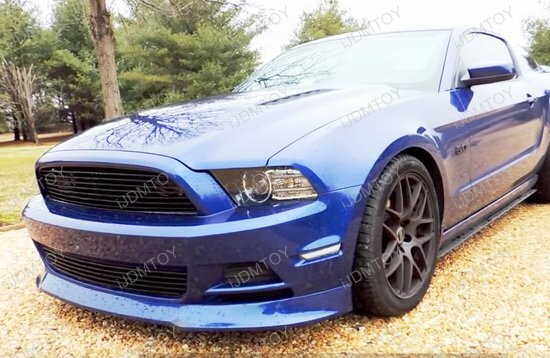 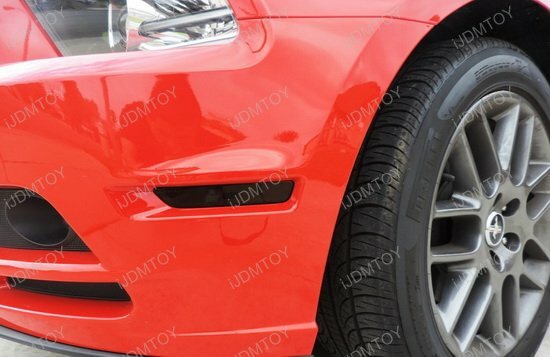 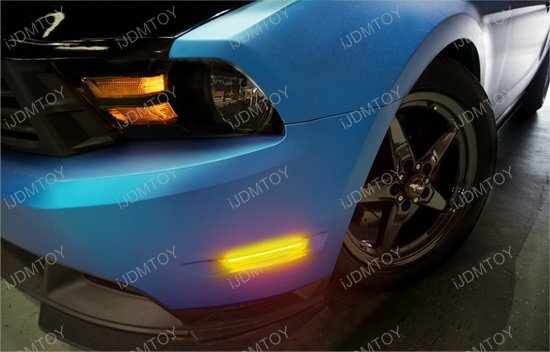 Q: How do I install these side marker lights onto my Ford Mustang? 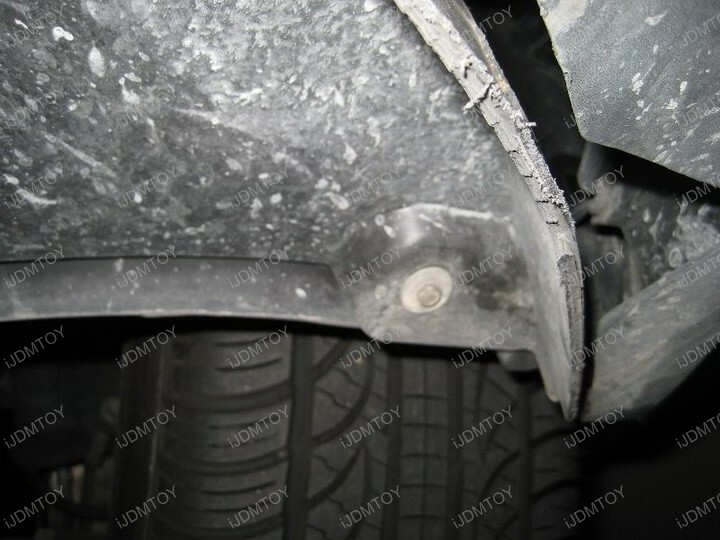 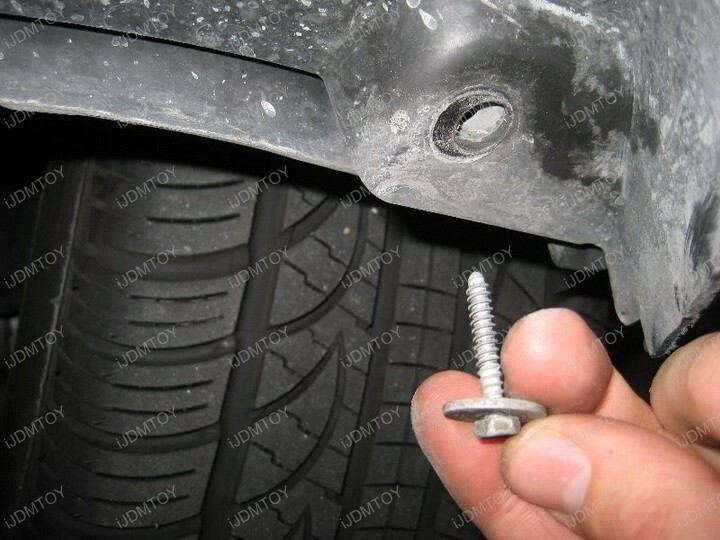 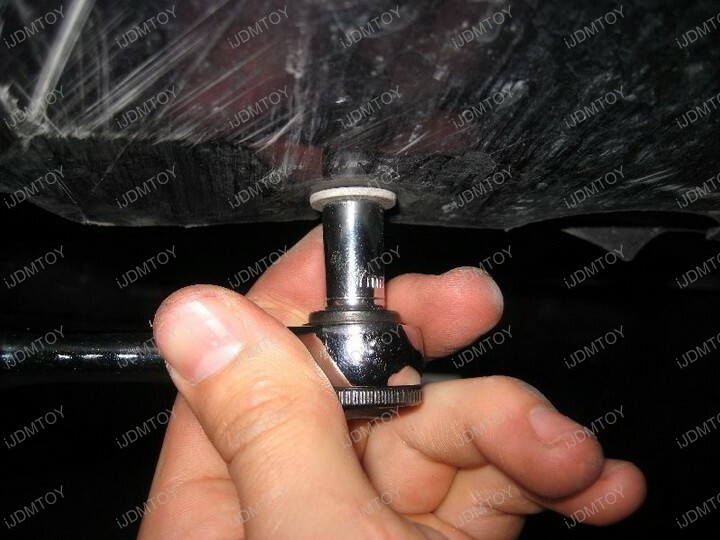 Step 1: Locate the under bumper splash shield to remove the two screws securing it to the frame. 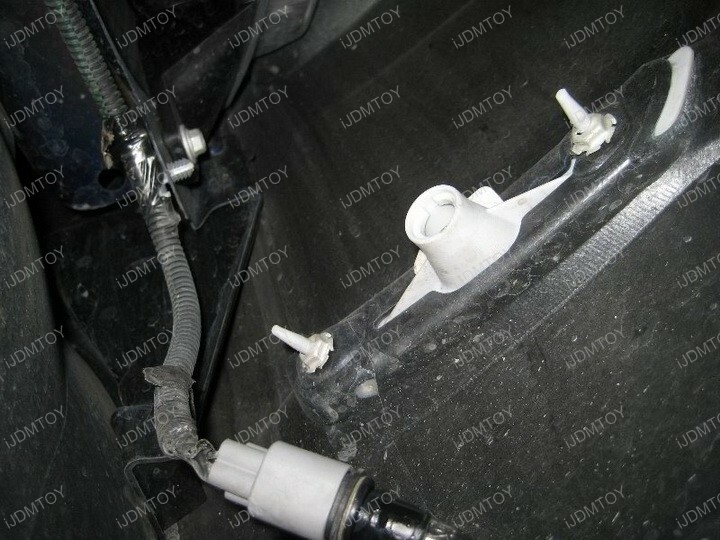 Step 2: Pull down the plastic panel to gain access to the back of the stock side marker lamps. 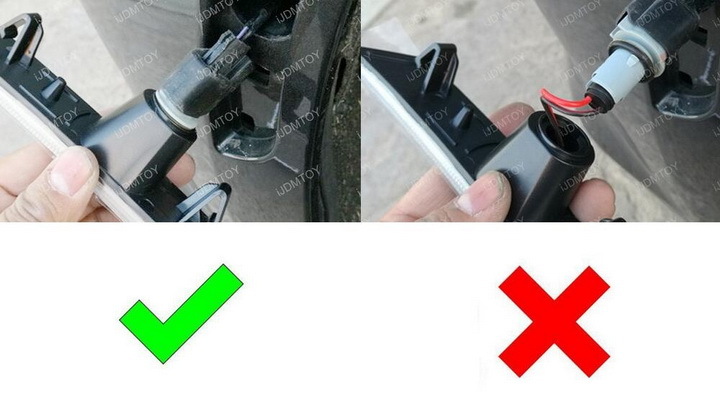 Step 3: Disconnect the adapter. 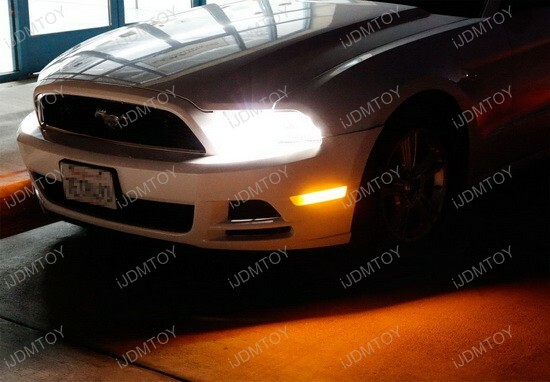 Remove the bulbs and push out the side marker lights. 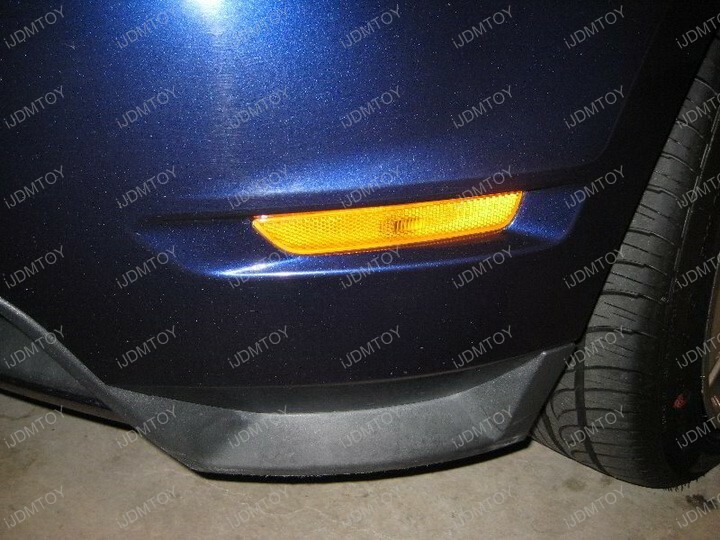 Step 4: Replace the stock side marker lights with the LED side marker lamps and connect the adapter. 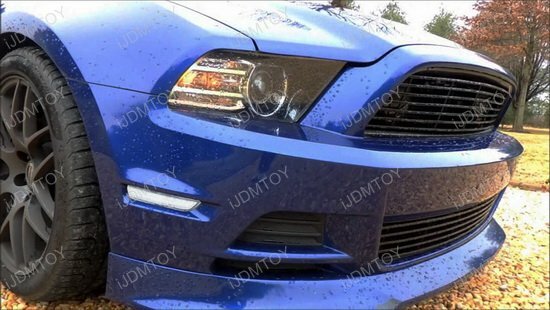 Close up the under bumper splash shield to finish. 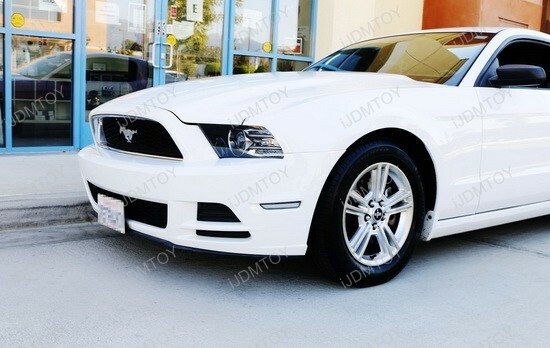 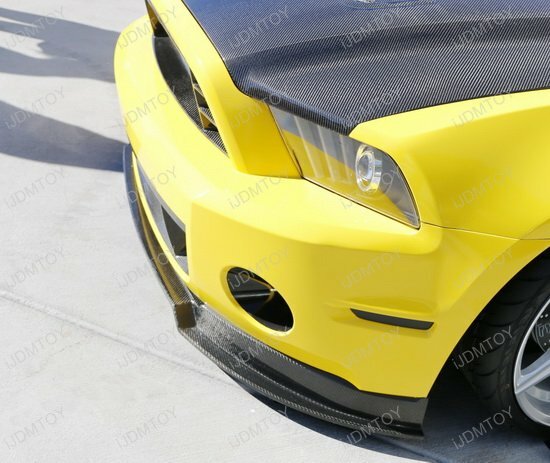 Q: Do I have to do any modifications for this to fit my Mustang? 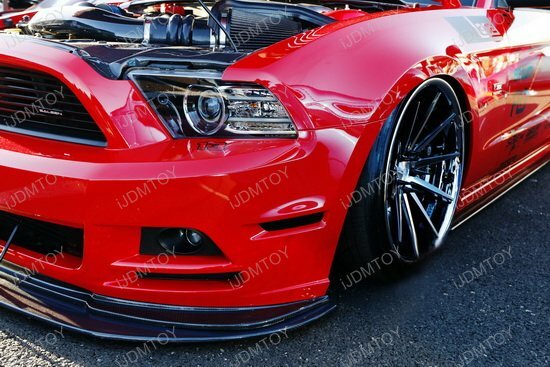 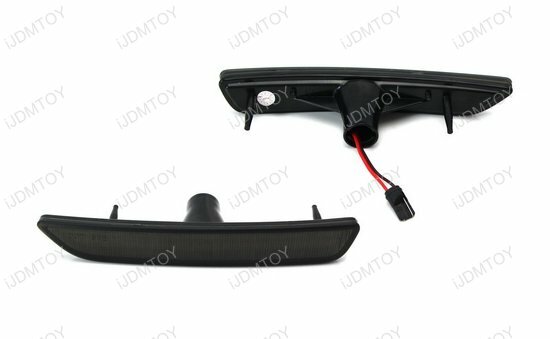 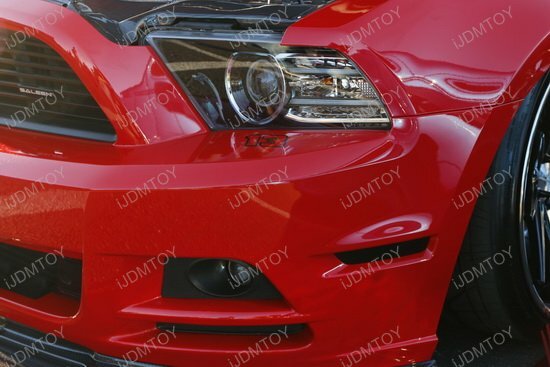 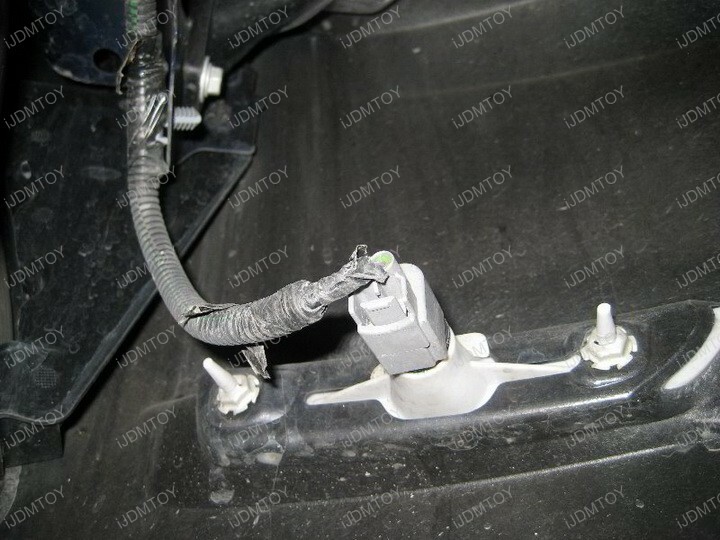 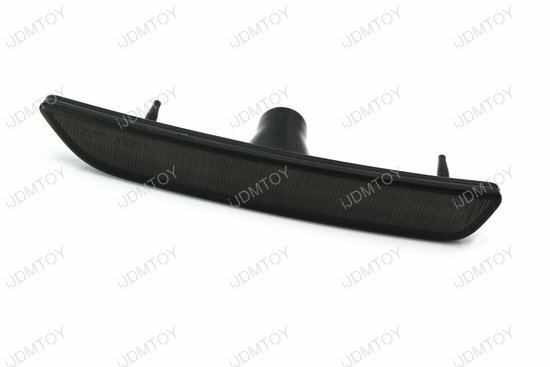 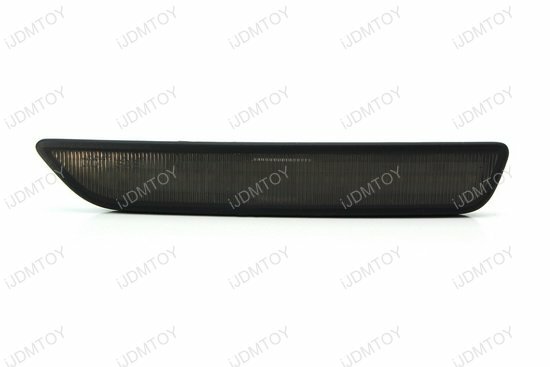 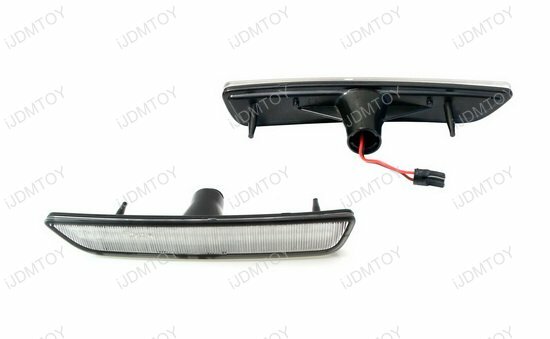 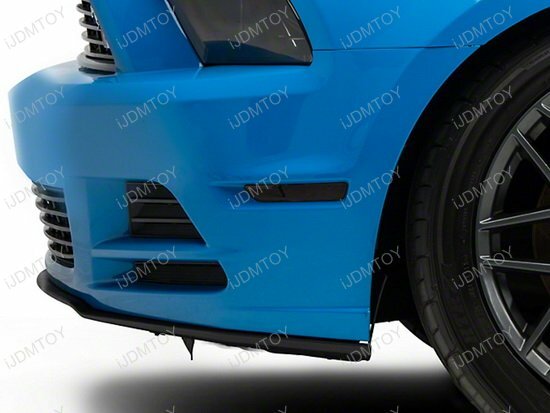 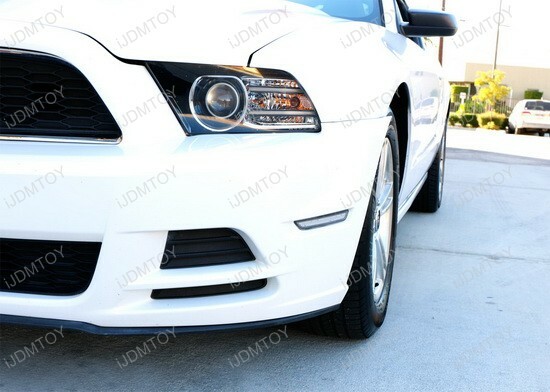 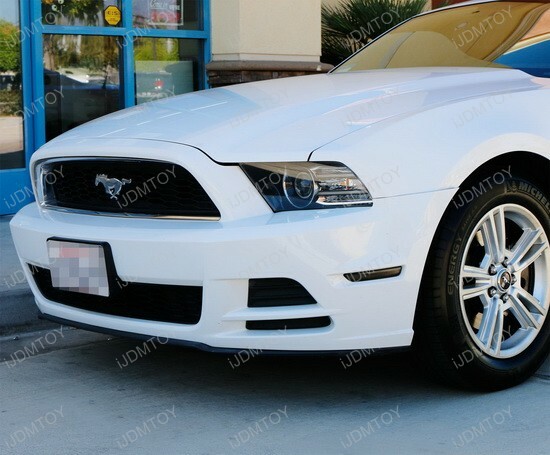 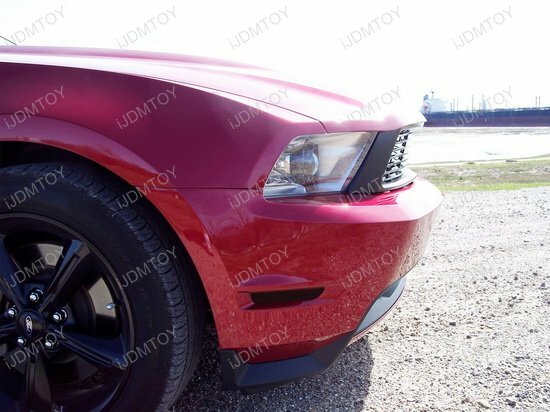 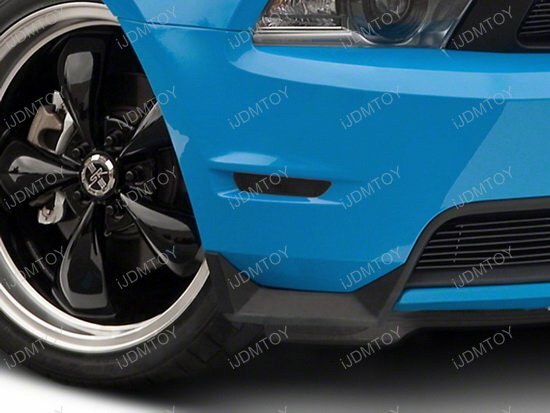 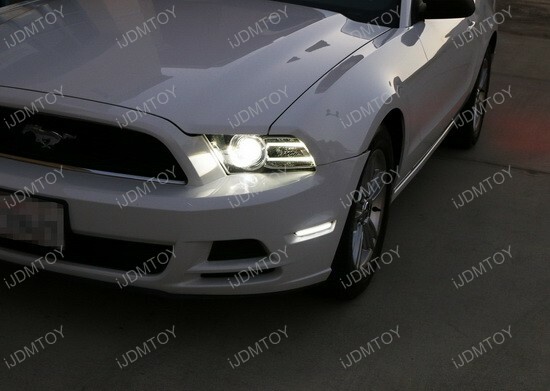 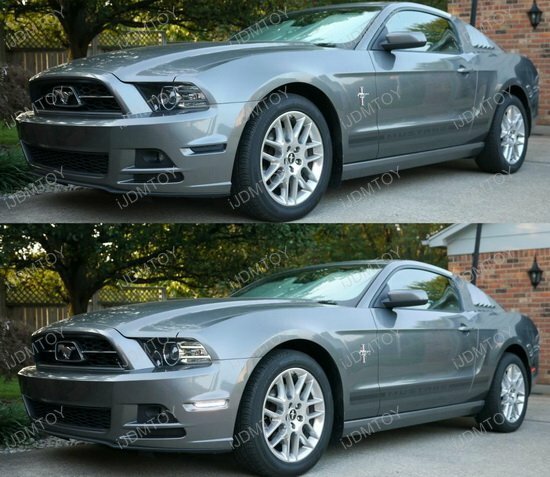 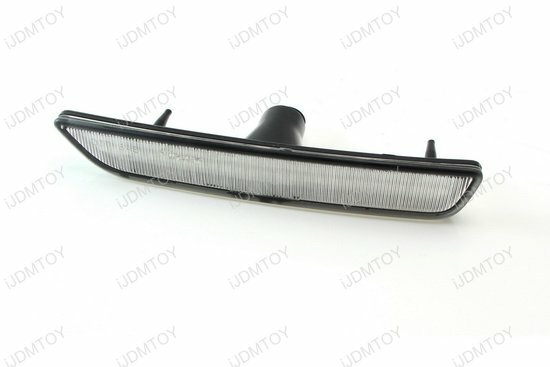 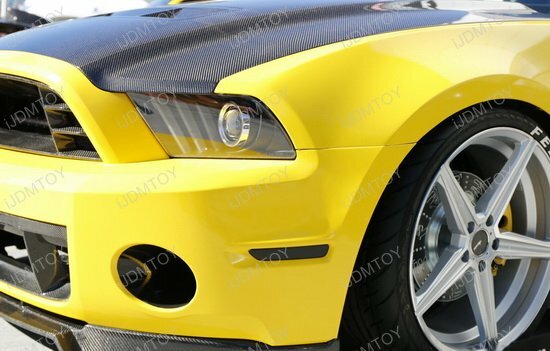 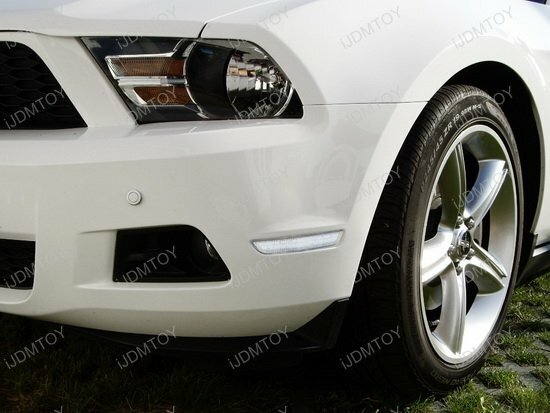 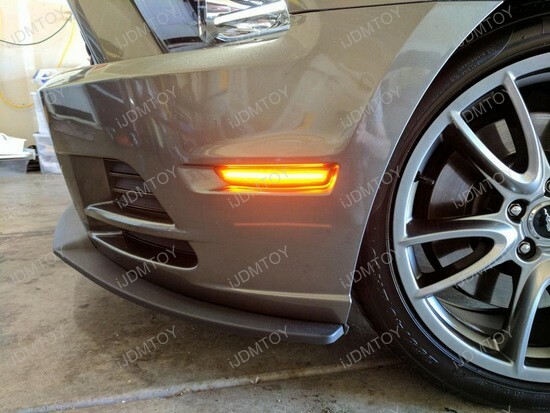 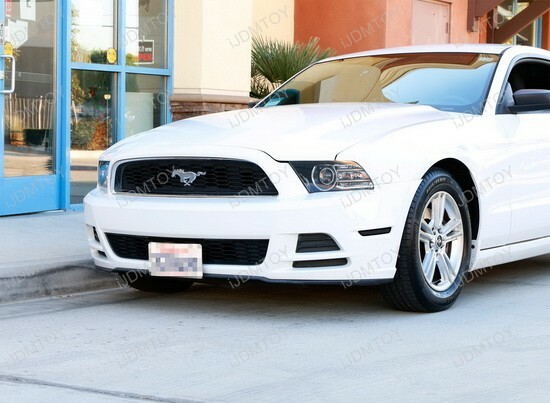 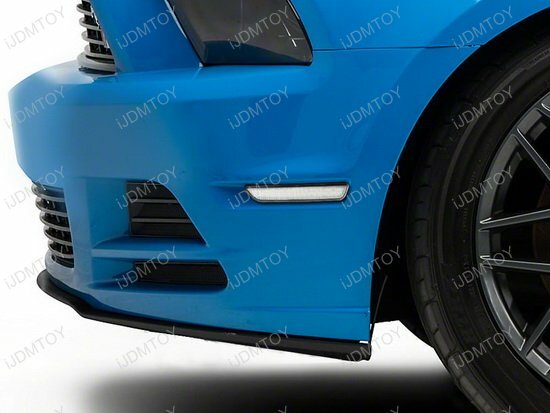 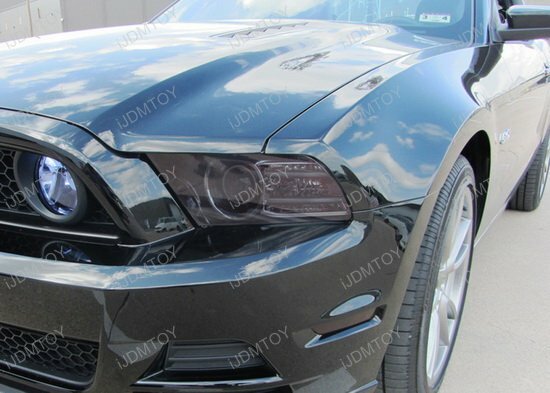 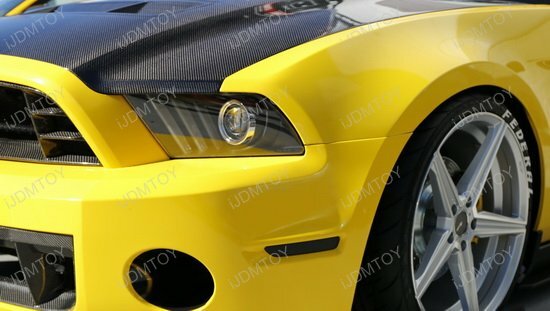 This features a set (2 pieces) of front side marker LED lamps for the 2010-2014 Ford Mustang front bumper. 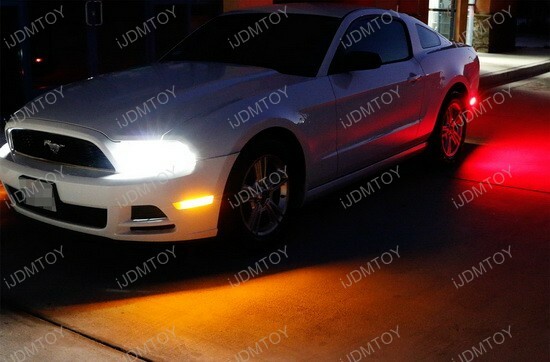 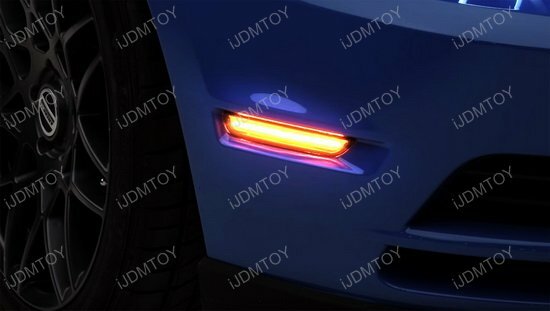 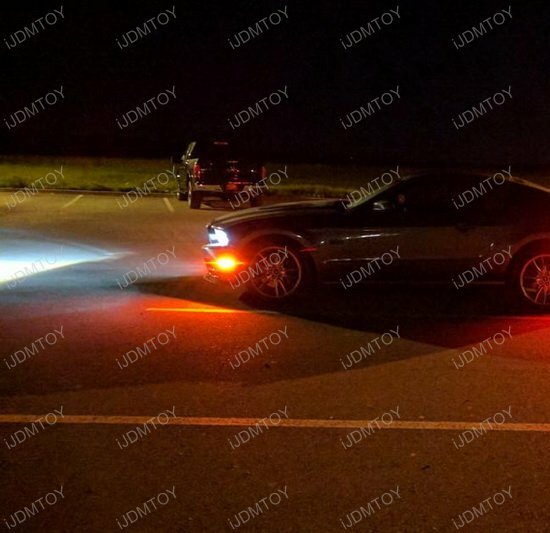 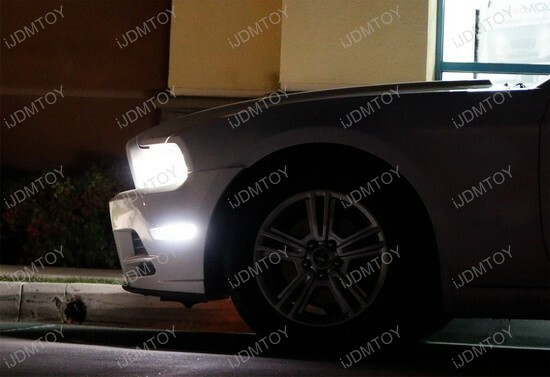 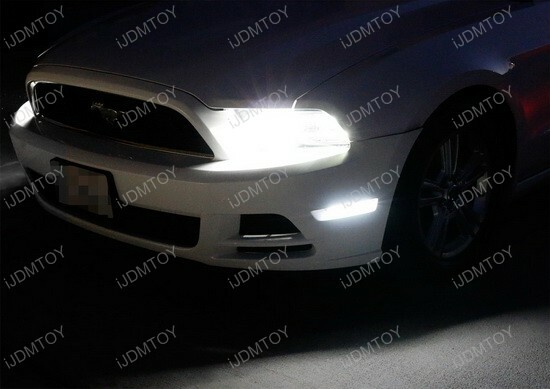 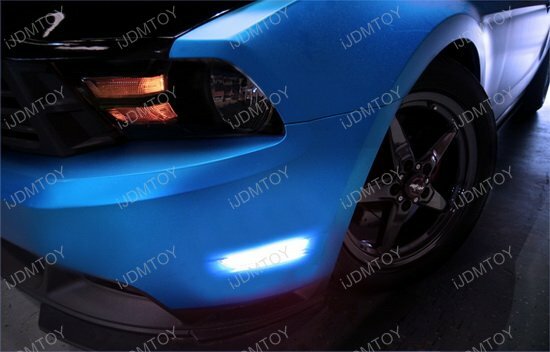 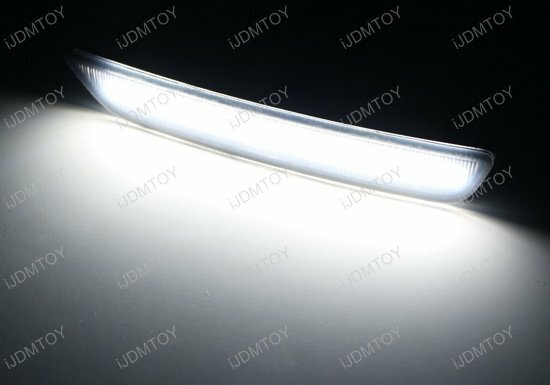 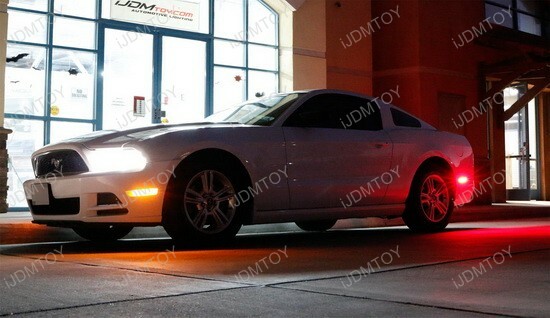 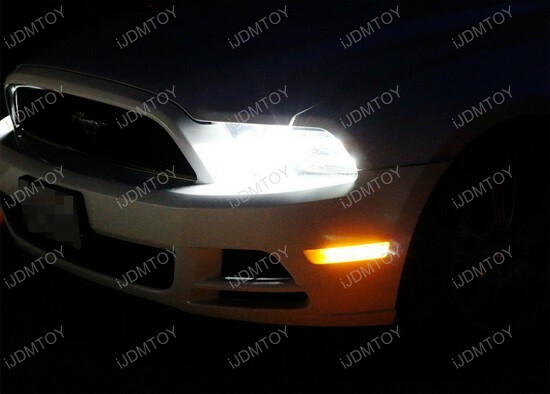 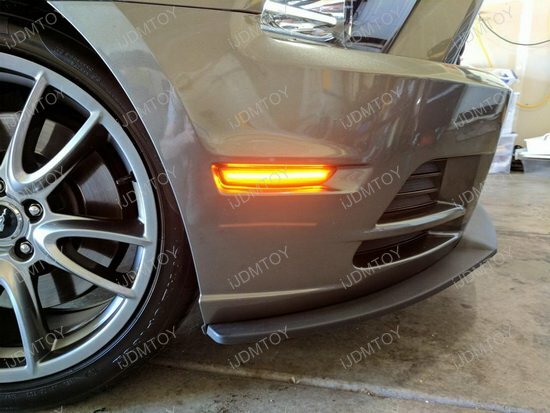 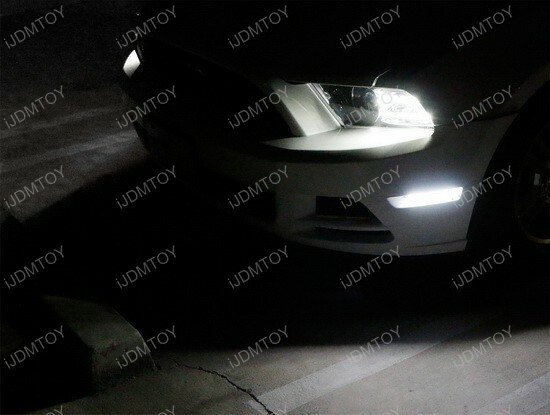 These LED side marker lamps are powered by 27-SMD LED lights for a nice bright glow that will definitely do your Mustang justice. 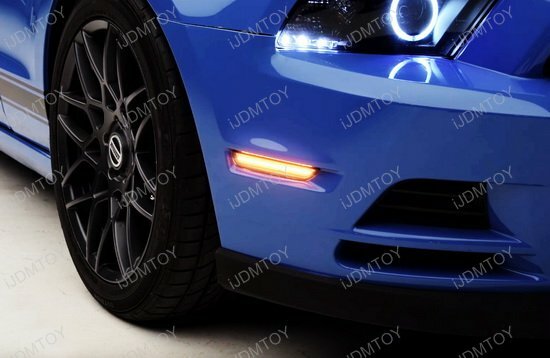 You won't have to worry about having inadequate lighting on your Ford Mustang since these LED side marker lamps let all incoming cars know that you're heading their way.